From March 11, 2019 through June 11, the online registration of a newly purchased SpaceMouse Pro Wireless within this time period via the 3Dconnexion website will give buyers a free voucher by email. This voucher can be used in the 3Dconnexion Web Shop to receive a free CadMouse Wireless with CadMouse Pad Compact. With a small, high performance Universal Receiver, USB hub and stylish travel case, SpaceMouse Pro Wireless is ideal for professionals on the go. 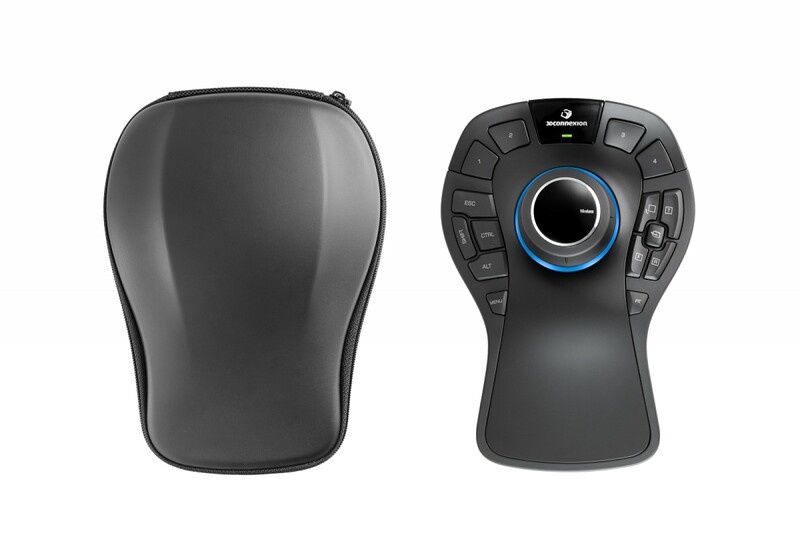 It comes equipped with everything that made the original SpaceMouse Pro popular amongst CAD experts: programmable Intelligent Function Keys, a full-sized, ergonomic hand rest, On-Screen Display, a rechargeable battery with up to two months of battery life, the powerful 3Dconnexion 6-Defrees-of-Freedom sensor and more. CadMouse Wireless was developed around performance, precision and ease of use for engineering in CAD. Its compact, ergonomic design offers you a dedicated middle mouse button and an intelligent scroll wheel. Effortless precision is accomplished with a highly optimized 7,200 dpi optical sensor and a constant tactile feedback for smooth mouse movement. You can work up to 2 months without charging and easily connect via Universal Receiver, Bluetooth or USB-cable.